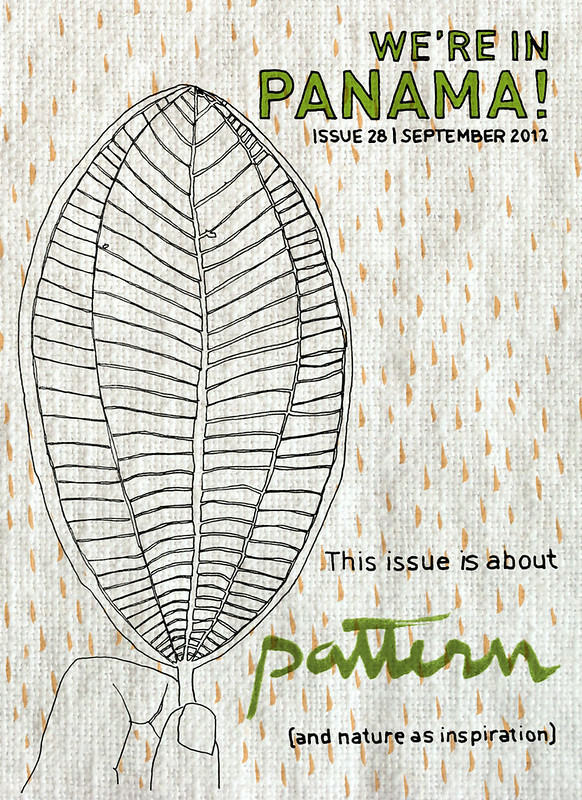 Today is the last day of September – and so it is the last day of the Month of Patterns. This was a fun project to work on. 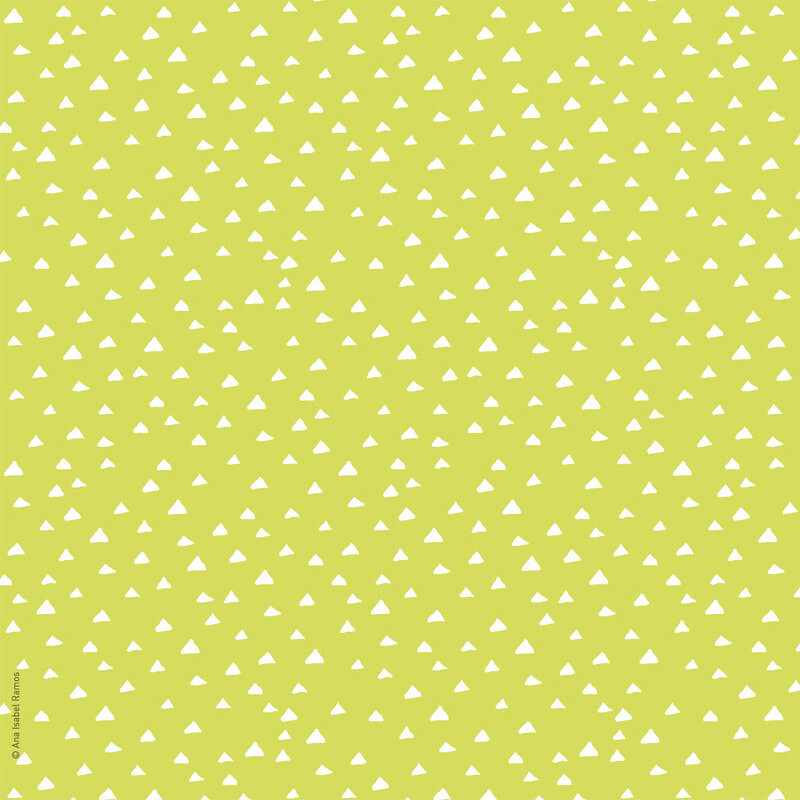 This does not mean goodbye to pattern: there will certainly be new designs, only not on a daily basis. Today we celebrate the impending arrival of October and its Autumn rain in the northern hemisphere, as well as Spring showers in the south. Rain does not need to be grey! 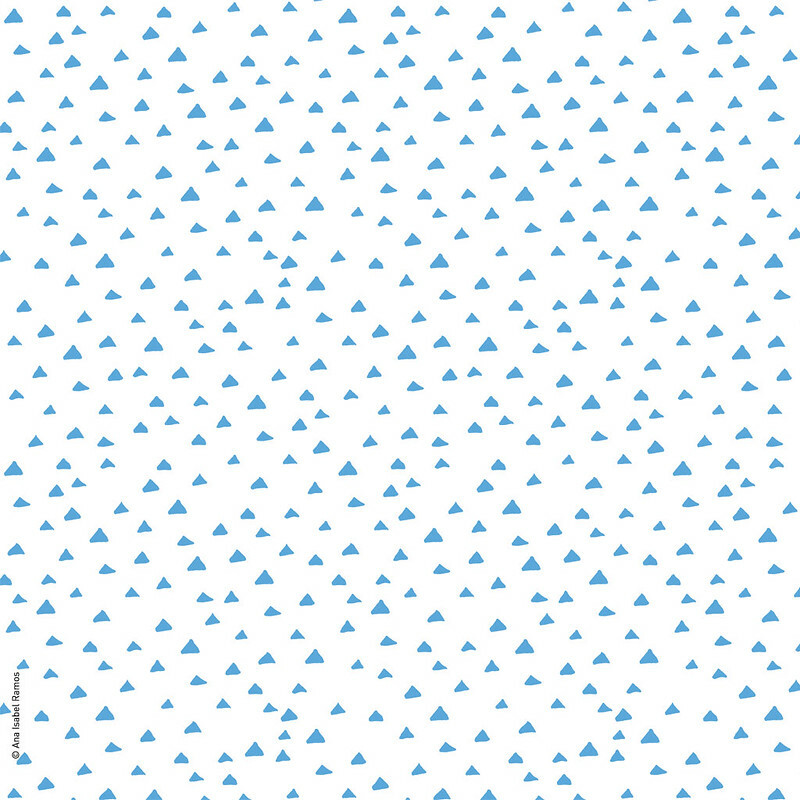 I would love to see this colorful rain cut in the bias, with some solids as combinations for the reverse. Where would you use this pattern? How would you combine it? I find myself to be intensely inspired by triangles and their versatile combinations. 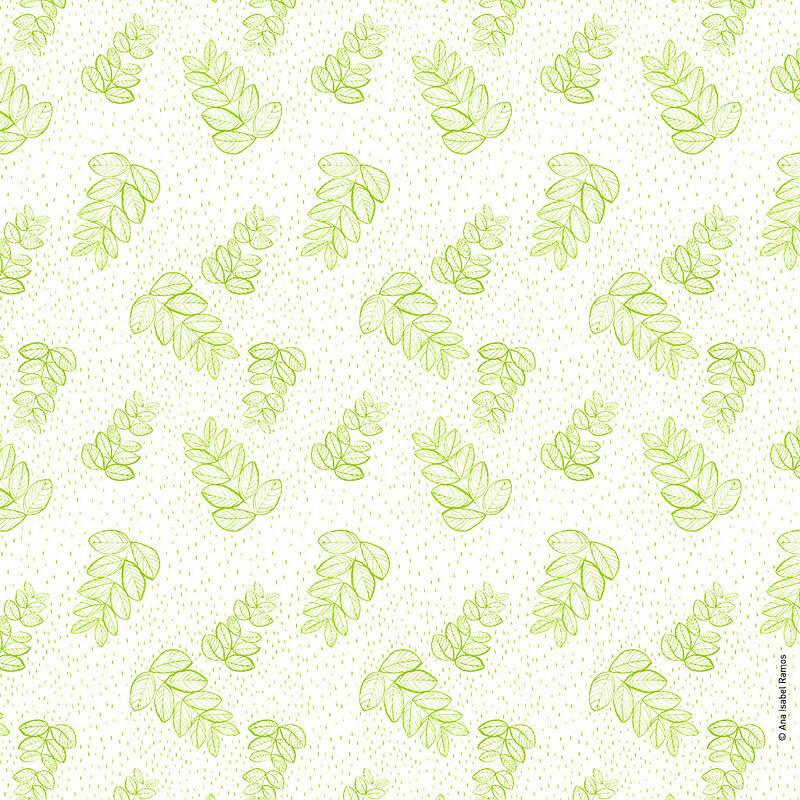 While designing this pattern, I liked many previous versions of it and felt unsure of which to publish. What do you think? Would you combine them? How would you use them? 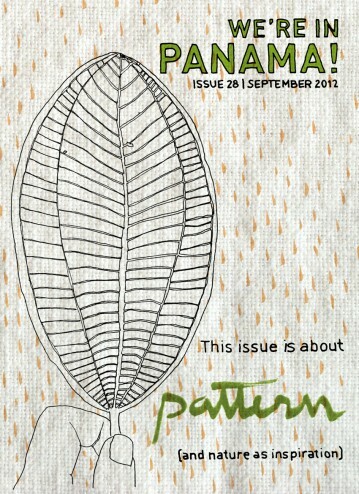 It’s almost October and this daily pattern project is approaching its end. It has been so much fun! 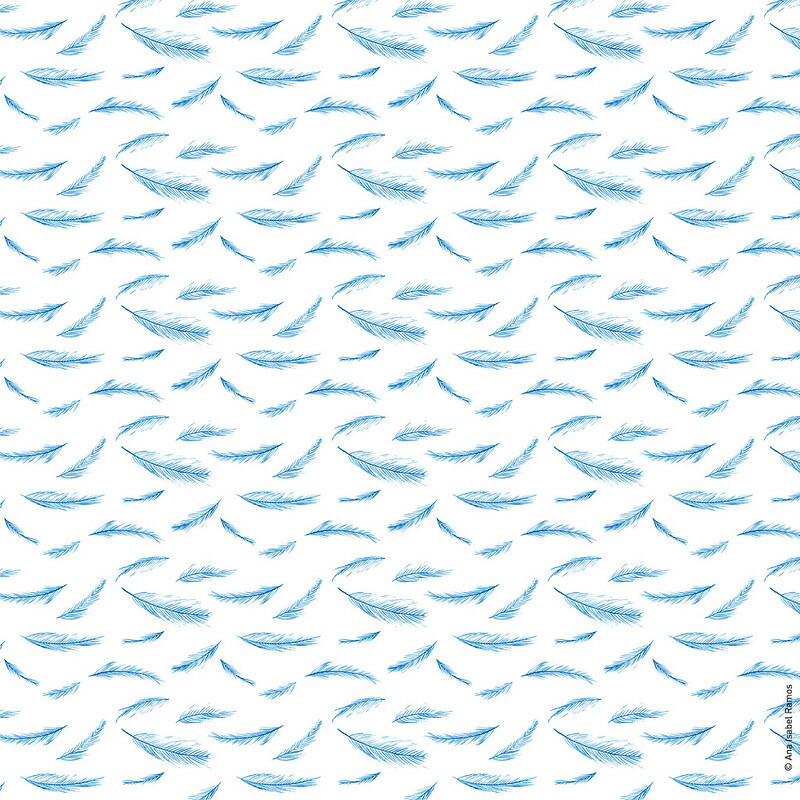 This is today’s pattern. 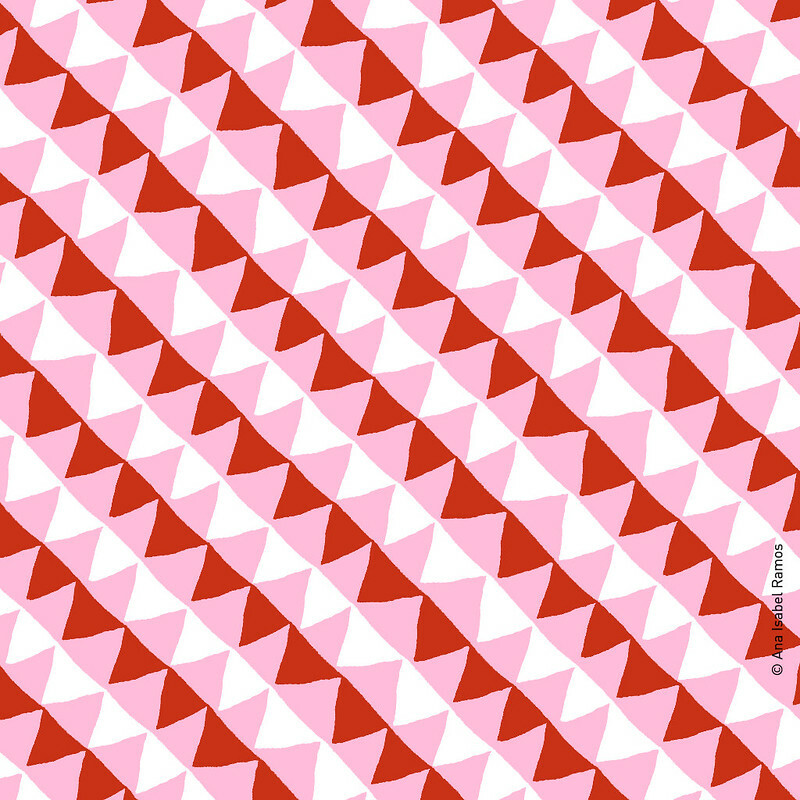 I think that more than ever I am in love with triangles and their versatile combinations, resulting in totally different patterns. 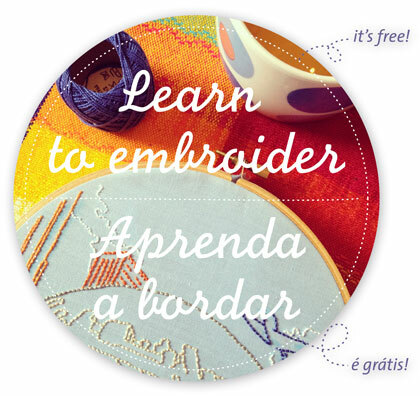 Where would you use today’s pattern? 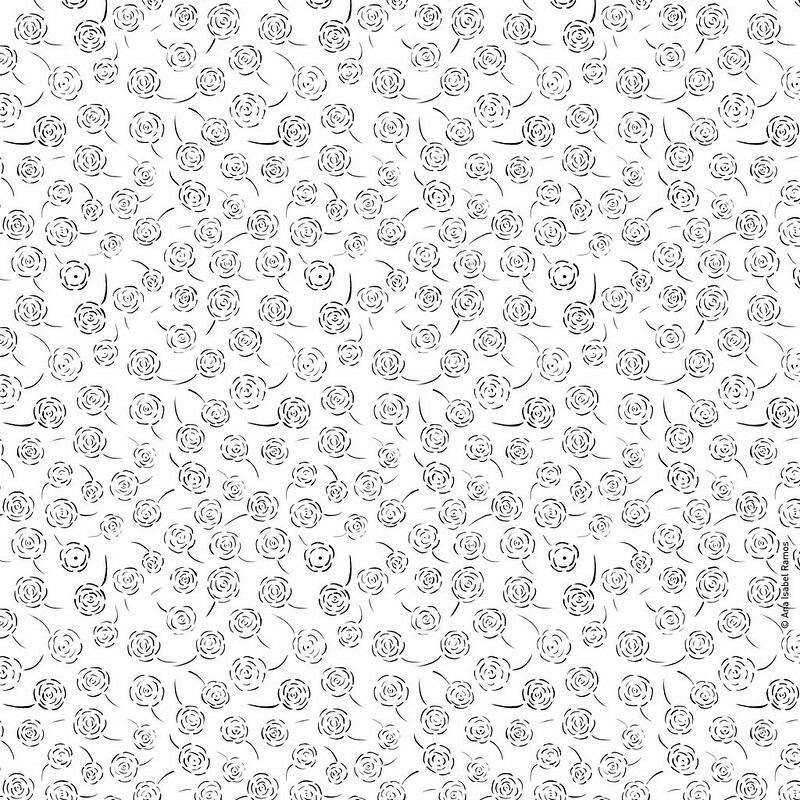 I wanted to try designing a pattern with flowers. Funnily enough, I didn’t like most of the flowers that were coming out of my paint brush. Until I stopped searching for a flower and looked for something else. 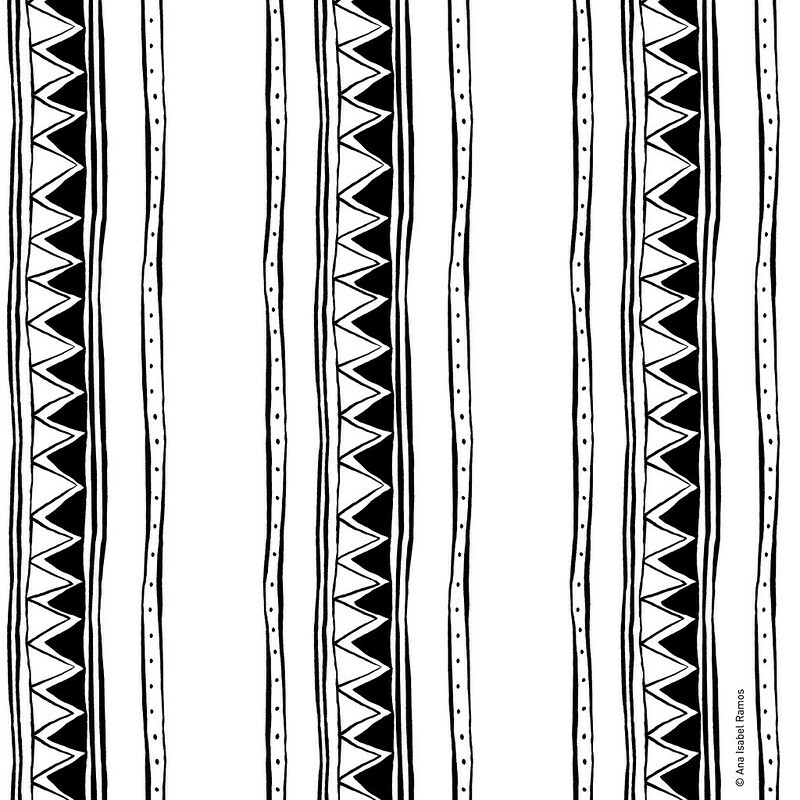 Here’s the pattern, in a raw, black and white version, as well as colored ones. Do you have a favorite? Where would you use it? 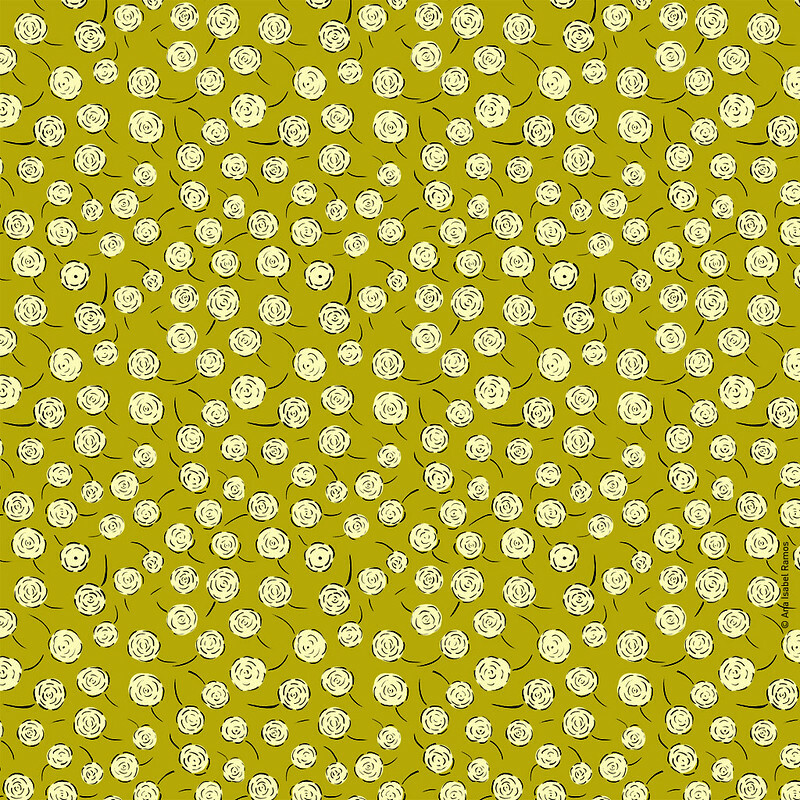 Today’s pattern is dedicated to my very close friends who are, in the best sense possible, cat ladies. Where would you use this kitty? How about the bird? Will he escape? Today’s pattern is the result of the trail we hiked last Sunday. Coming from Portugal, I always considered myself an “ocean girl”, but now that I live in the tropics – and oceans, in plural, are a big part of the Panamanian identity – I find myself drawn more to the mountain than to the sea. That is why hiking has been such a wonderful treat here, because there are trees, leaves, animals everywhere. Where would you use this pattern? Would you like to see it in other colors? Hi! Happy Monday, happy new week. Today I am at a lack of words (who knew that was possible?) so I will leave you with a pattern made of feathers. May your Monday be smooth and light, just like these feathers. By the way, apart from “Monday”, where would you apply this pattern? Hi everyone, how is your weekend going? 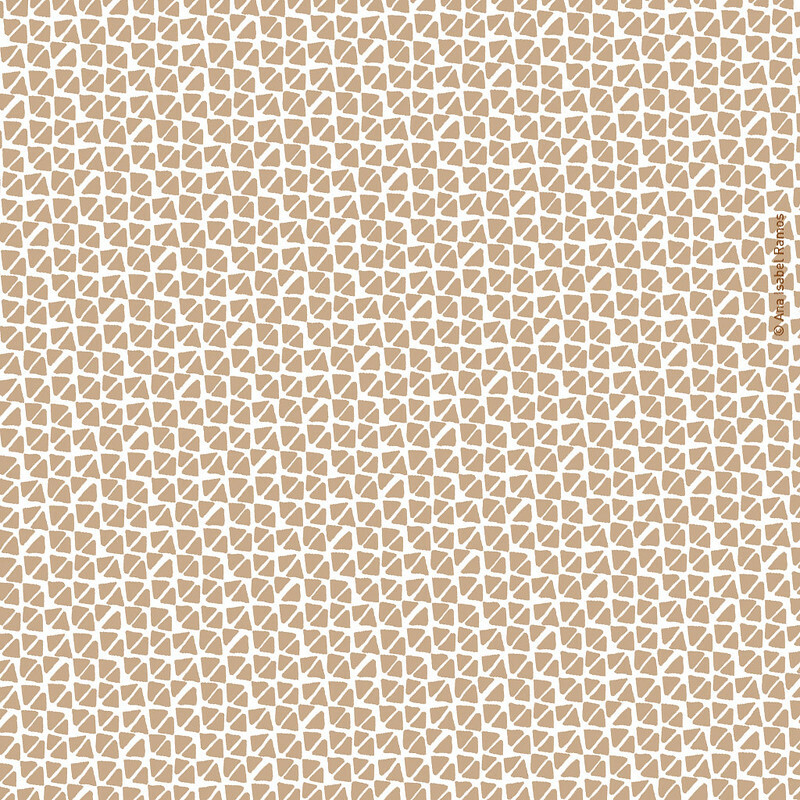 Today’s pattern is another combination of those lovely triangles. I don’t seem to tire of it. 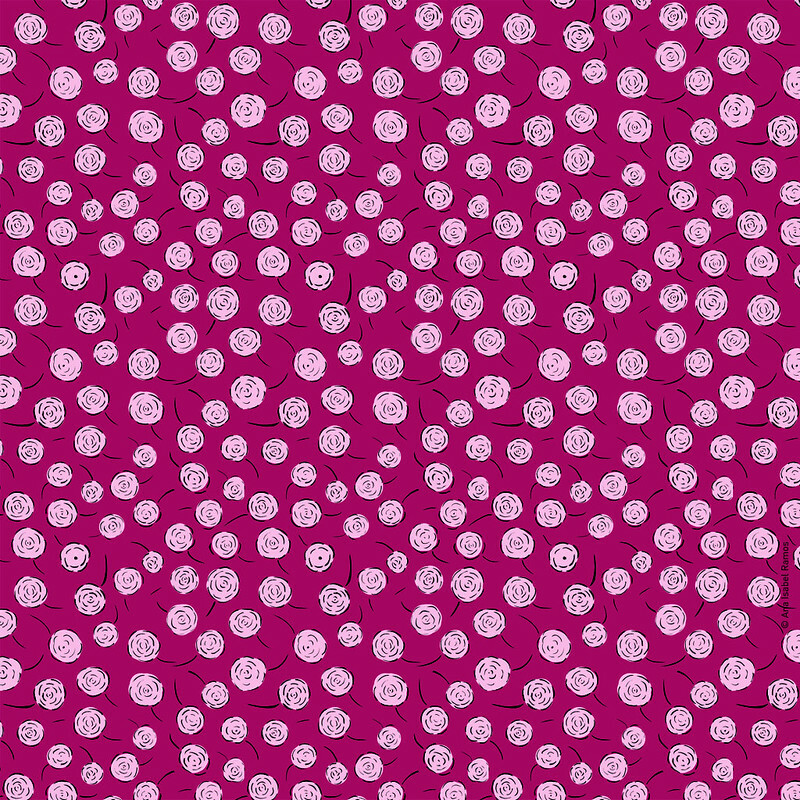 It is hard to say objectively, but this was probably one of the patterns that gave most pleasure designing. I had so much experimenting with color, keeping these simple shapes. I hope you like it too. This one, where would you use it? 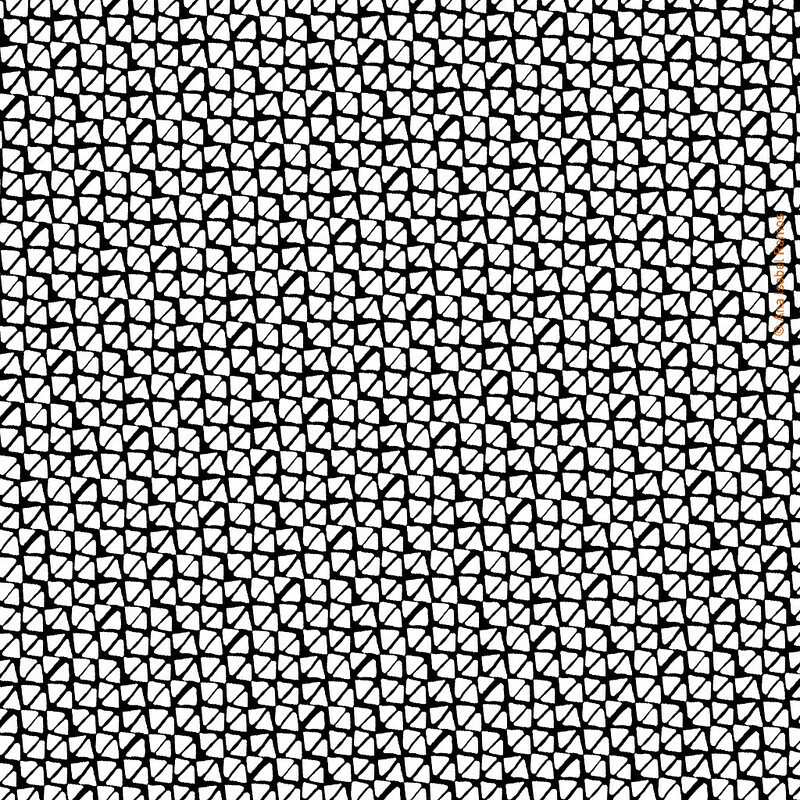 I knew I was going to keep on playing with these triangles for a bit longer. 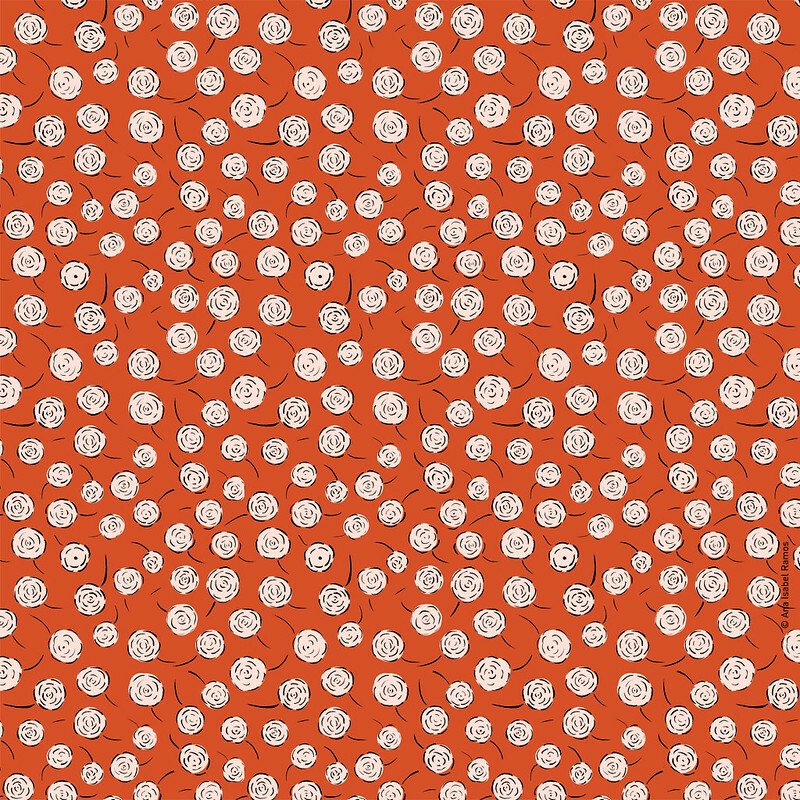 I love how the same basic shapes can make such different patterns, just by playing with density and direction. I absolutely love the black and white version and can see it in many different surfaces. 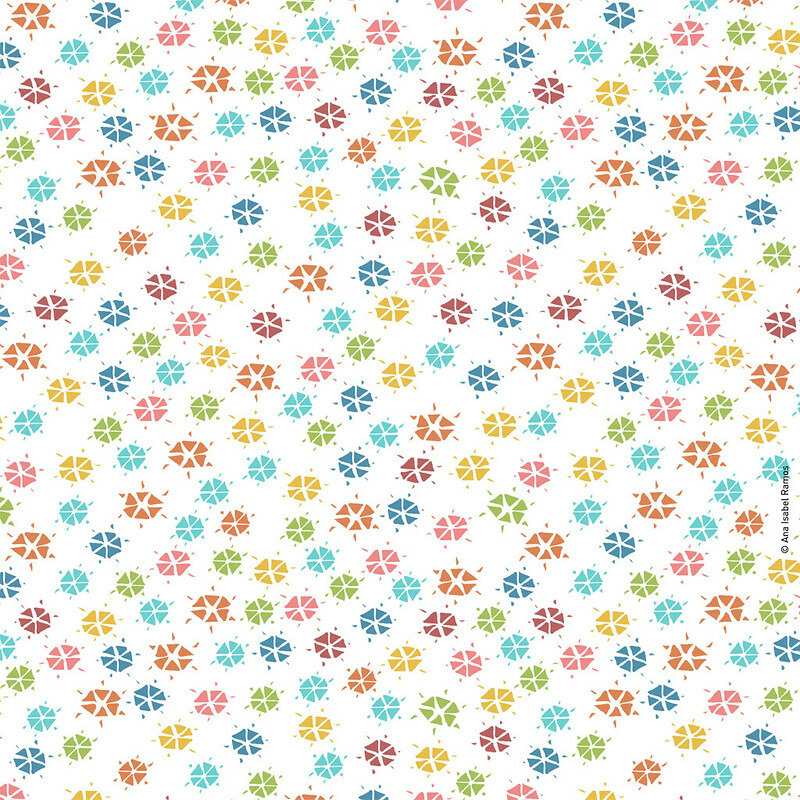 I think it would look good both on a blouse, as well as covering a notebook. How about you? Do you agree? 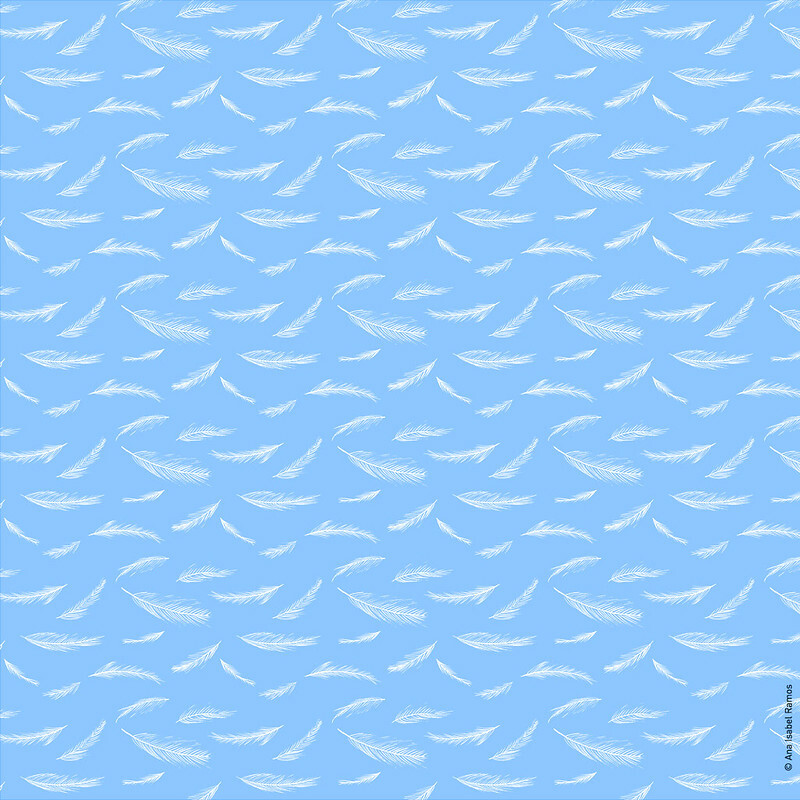 Would you like to use this pattern for clothing, for housewares? 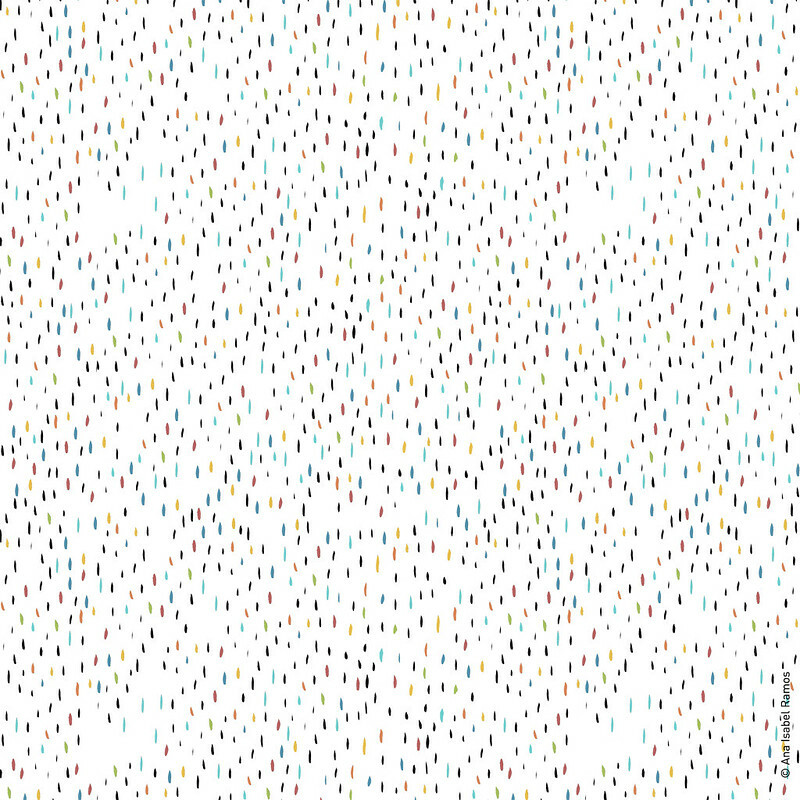 Whichever your case, here’s a pattern to brighten your day. 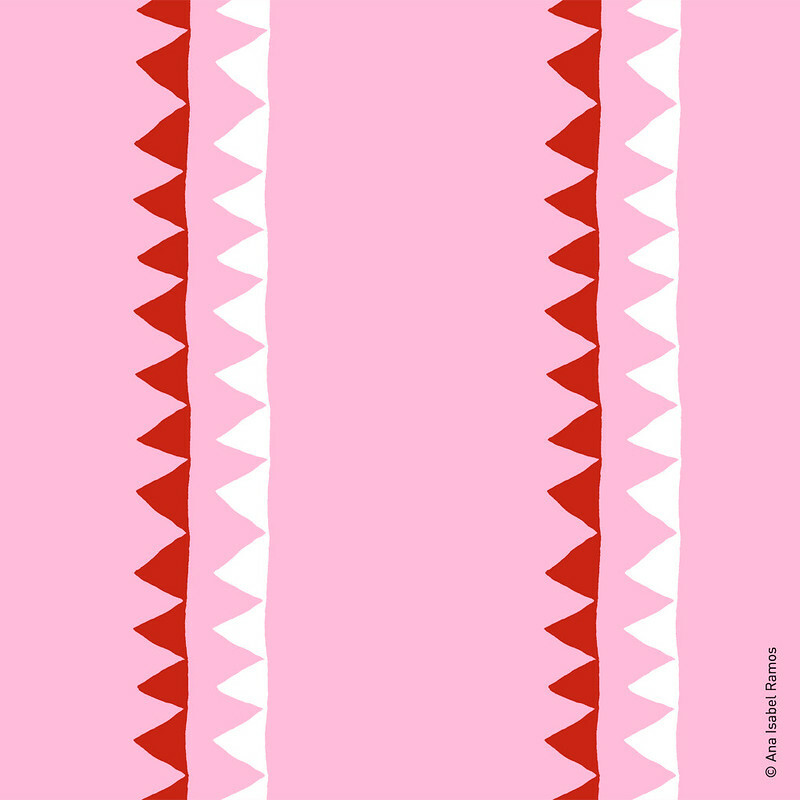 Today I play with triangles and, as I think you will see tomorrow, I want to keep on playing with these shapes. Triangles are so versatile, aren’t they? 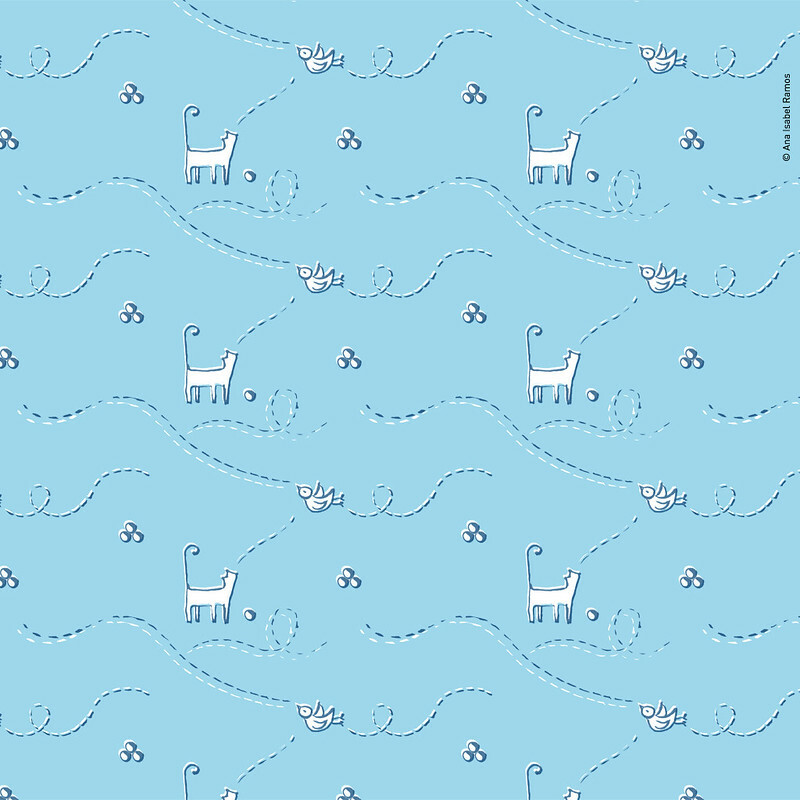 I imagine embroidering and sewing an abbrigate* baby blanket a combination of this pattern and a solid on the reverse. How about you? 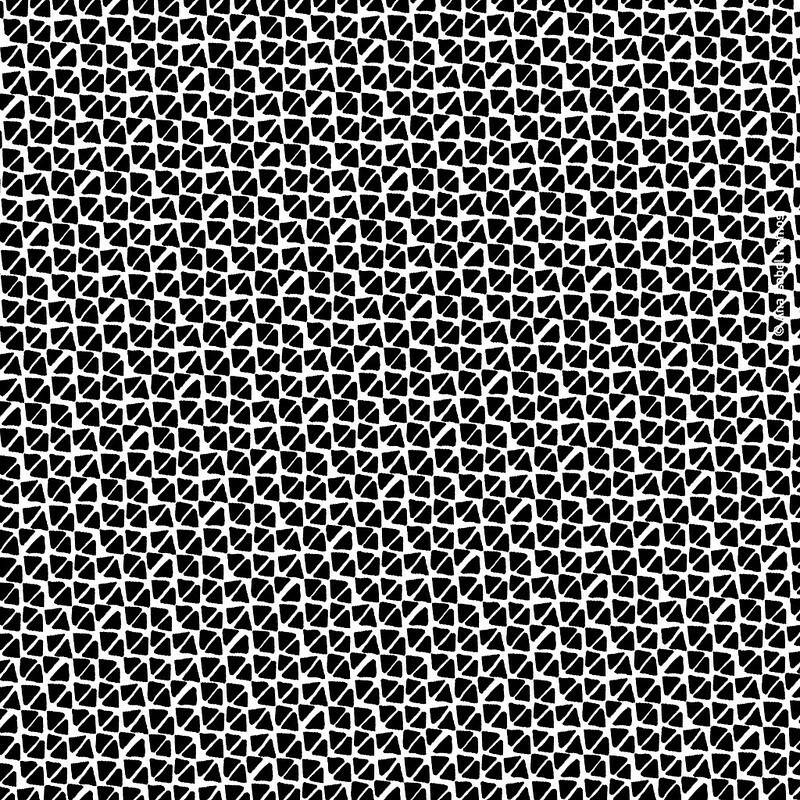 How would you use this pattern?